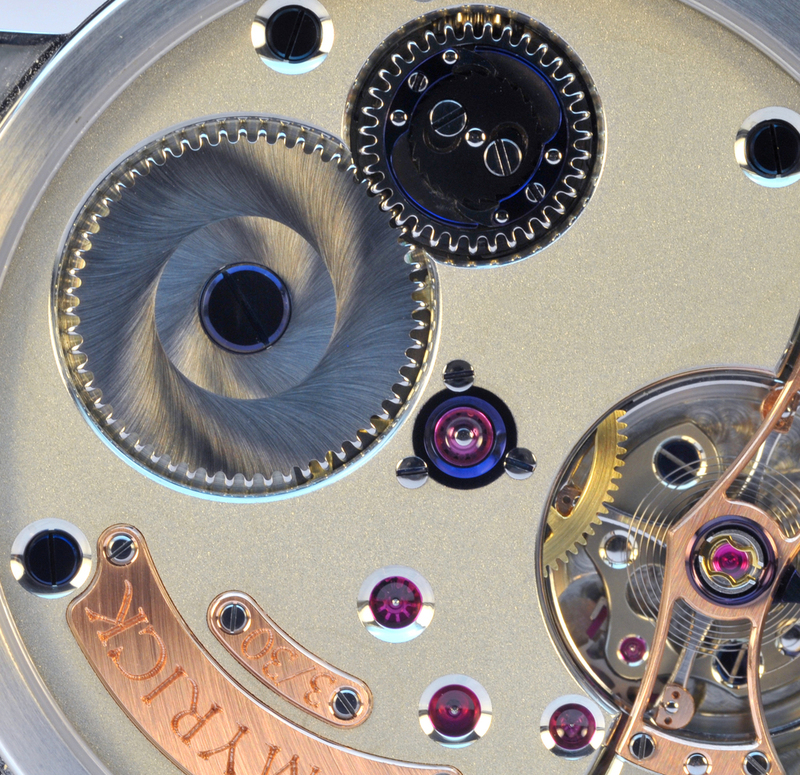 The Caliber 29.30 that resides in my 1 in 30 pieces is designed and manufactured in house. 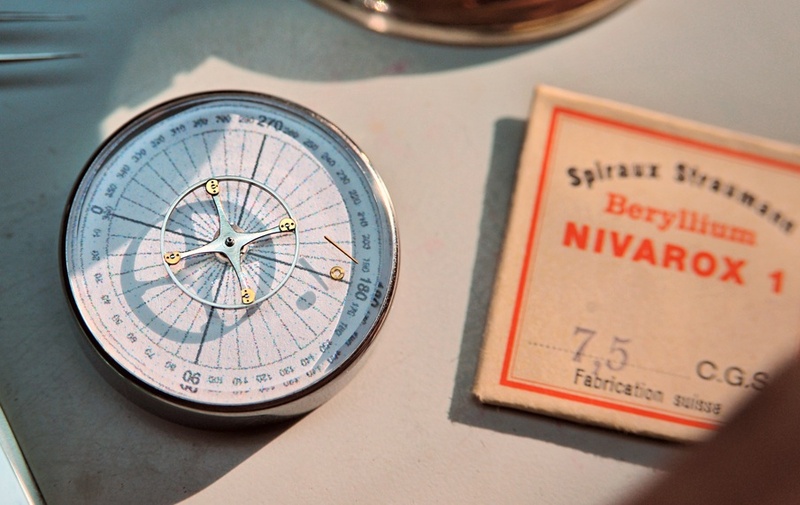 The circular grained finish radiates outward from my in house manufactured balance wheel beating at a graceful 18,000bph. 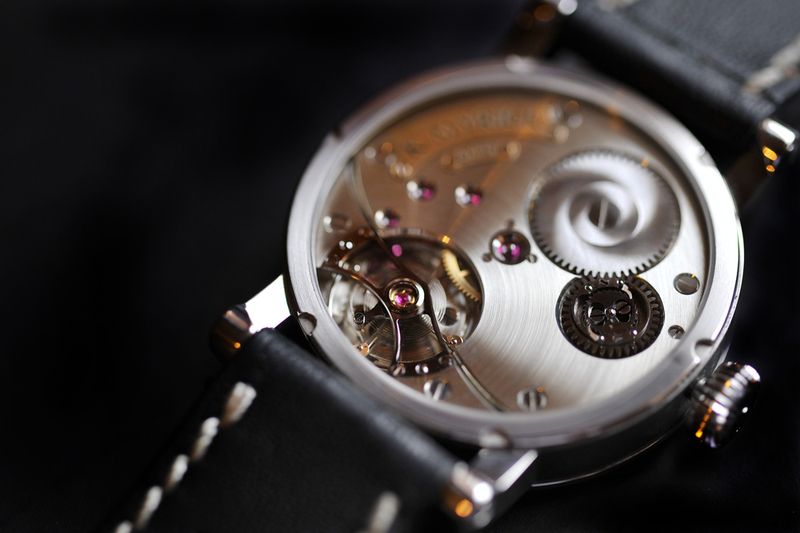 The hairspring is free-sprung and uses four 18k rose gold weights for regulation. 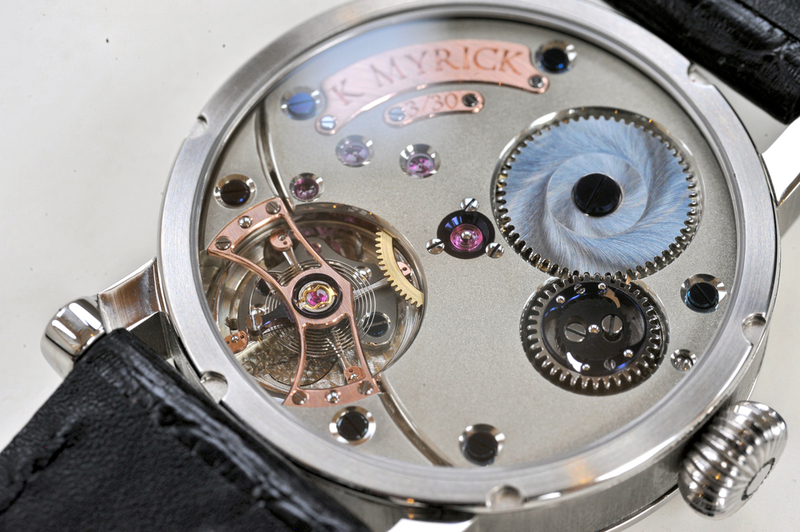 Above the balance is a black polished and anglaged bridge sitting atop two German Silver "feet", paying homage to the Observatory Tourbillons of Guinand, Pellaton and Batifolier. 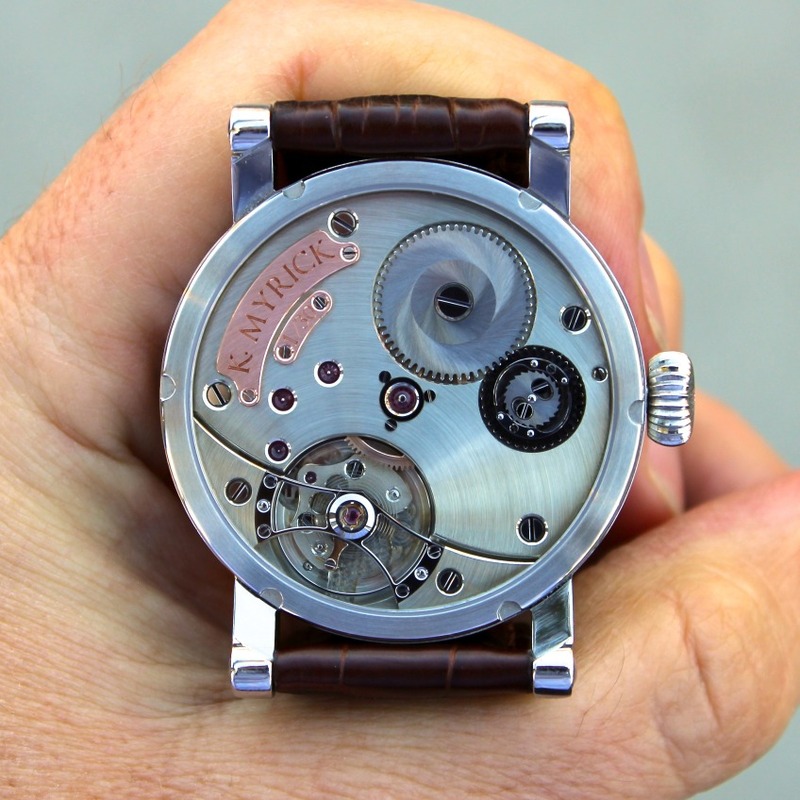 The large three-quarter bridge pays respect to the horologically captivating state of Saxony, Germany. 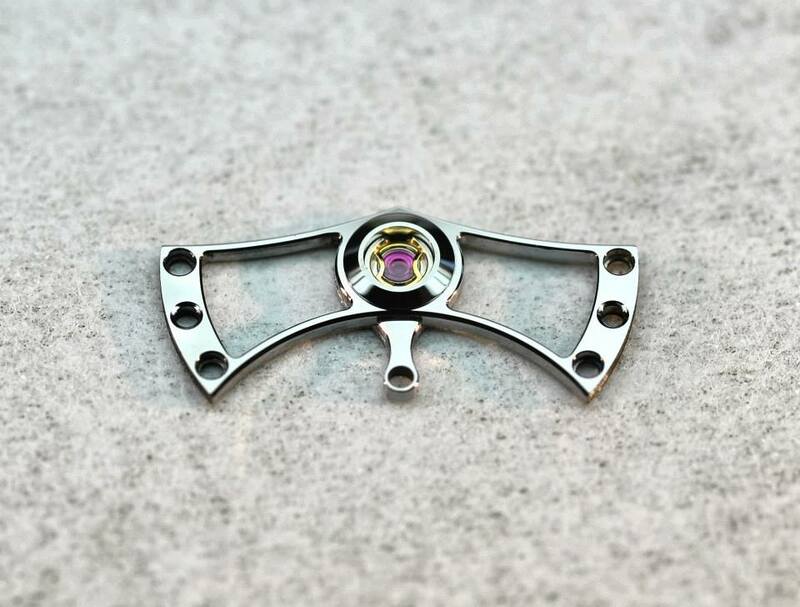 The large, screwed center wheel chaton is made from steel and black polished, pressing the brittle ruby jewel into the hardened steel chaton requires the utmost in precision, and yields a striking aesthetic. 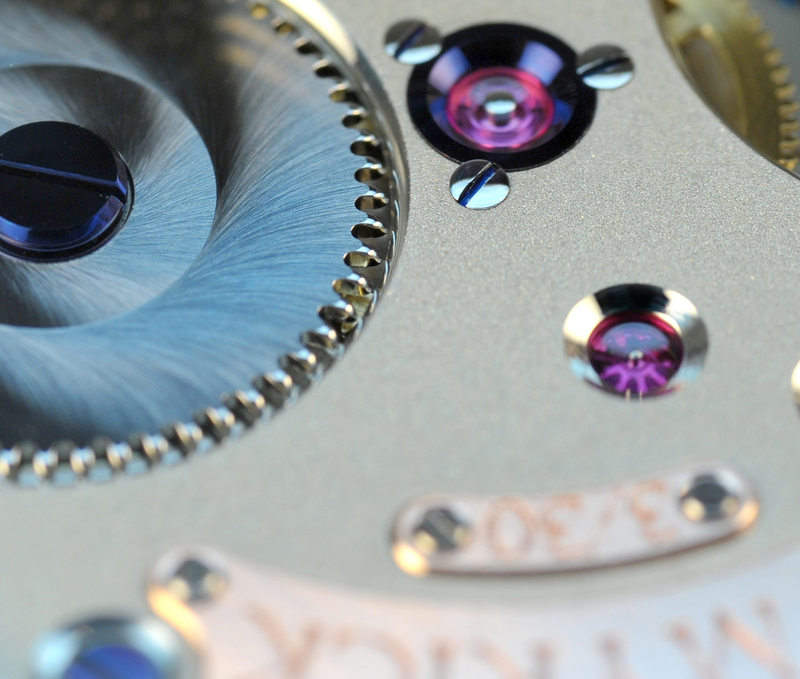 The click system, residing entirely in the crown wheel consists of 22 components and draws it's inspiration from the fantastic Grand Sonnerie winding systems. 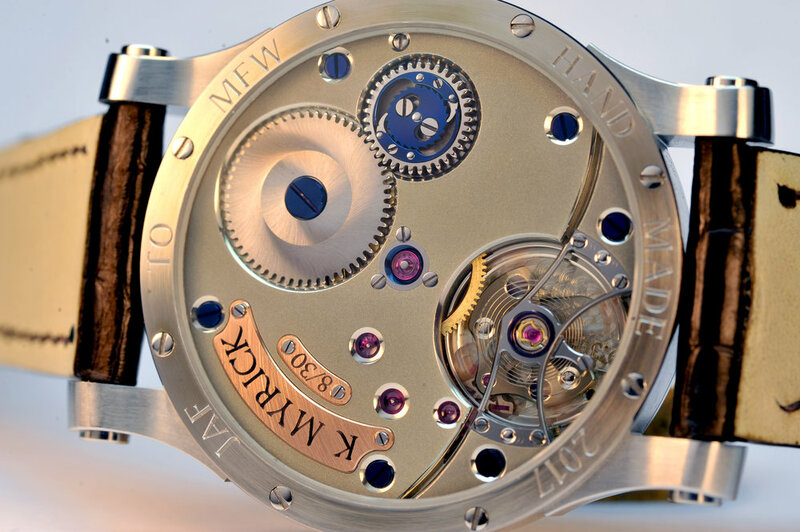 All gold accents on the mechanism and the dial are 18k rose gold and finished with fine graining and polished bevels. 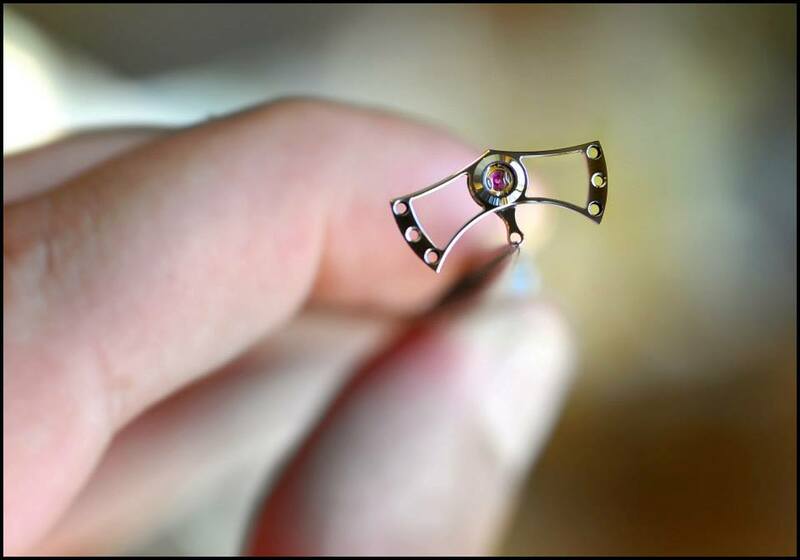 I practice traditional finishing techniques throughout the mechanism. All steel components are meticulously heat treated, angled by hand and black polished. Screw head slots and diameters are beveled and polished. The ratchet wheel and central click wheel are finished with a traditional German "snailing" technique. 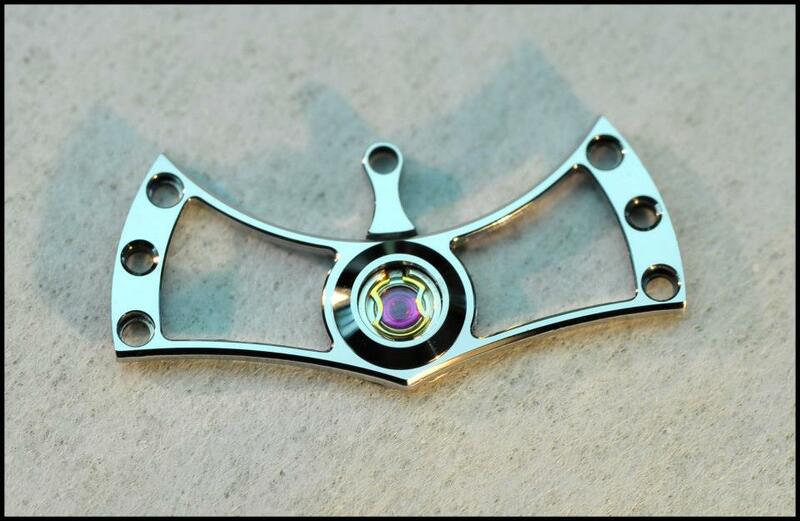 Done by hand on a Levin 10mm lathe this finish results in a beautiful play of light and almost 3 dimensional look. The hands are flame blued and have a beautiful purple/blue luster, the boss' are black polished and chamfered to a high polish. While the architecture and design of the mechanism is set I am open to discussing certain minor aesthetic changes with perspective clients. Screws and other steel components can be blued if that is to your liking. The steel balance bridge can be made from Gold and other bridge material can be discussed as well. I enjoy working with clients one on one to make sure they are getting a watch that is truly one of a kind and unique to their collecting style. Please contact me directly for purchasing options.